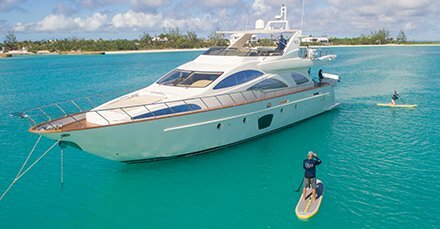 PRIVÉ Fine Ocean Charters Turks and Caicos Islands Leader in luxury yacht charters offer All Inclusive packages where guests can experience the beauty of the archipelago aboard the finest fleet of vessels available for charter in the country. PRIVÉ Fine Ocean Charters is dedicated to bringing the very finest vessels, product and services to its discerning guests. 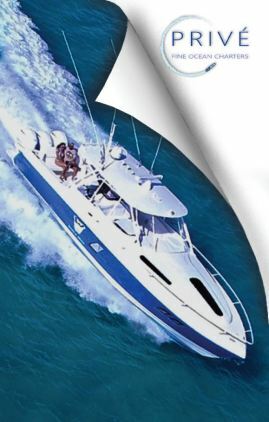 We offer our guests a variety of exclusive services like offshore fishing, romantic beach getaways and diving to name a few and endeavor to serve their individual requirements, desires, expectations and any limitations. Relish the splendor of The Privé Fleet paired with the finest equipment. 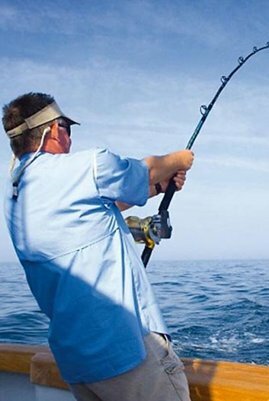 Venture off shore and enjoy the best sport fishing Turks and Caicos has to offer. 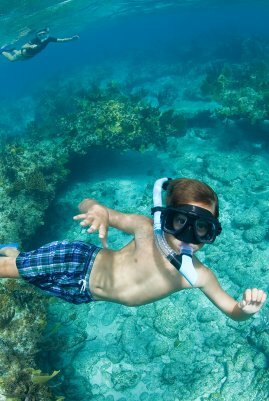 Experience the best snorkeling in the world or simply cruise the shoreline. 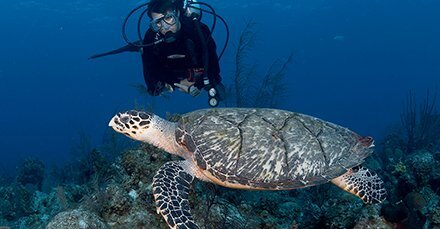 Experience one of the best snorkeling tours in Turks and Caicos. The world’s third largest Barrier Reef awaits you! 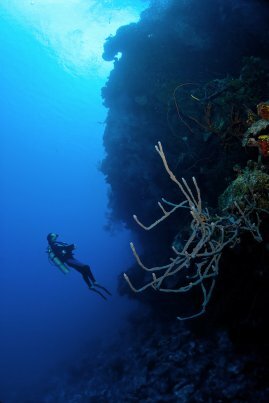 Pristine hard and soft corals and a myriad of marine life are just below the surface of our spectacular turquoise waters. Our highly qualified and experienced padi certified instructors look forward to diving with you in the very best locations. Deep waters are just moments away. 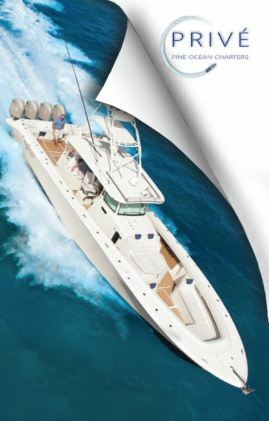 Marlin, Tuna, Mahi Mahi and Wahoo are all available on our Turks and Caicos fishing charters. 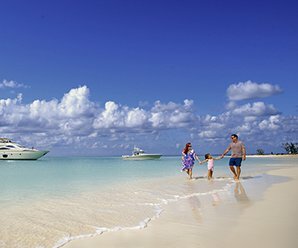 Cruise the shoreline and visit secluded private islands, see the native iguanas or explore distant destinations on one our romantic beach getaways Turks and Caicos excursions. Thank you for your interest! We will send you any special offers we have comming down the pipeline. A link has been sent to your email address. Please confirm your subscription by clicking on that link! Our experienced private chefs will prepare sumptuous food and wine pairings for your enjoyment. Selections of fine beverages are inclusive. Our beverages list includes still and sparkling water, juices, sodas, beers, wines and rum aboard the luxurious fleet. Top shelf spirits, frozen and mixed drinks as well as Champagne are inclusions aboard M/Y PRIVÉ. 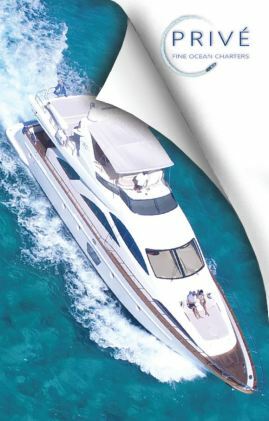 Our Azimut luxury motor yacht houses two (2) Yamaha GP1300R jet skis inside her stern garages. 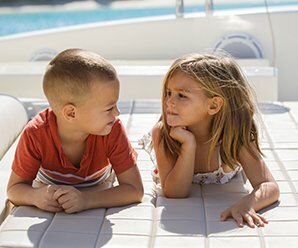 These fun and exhilarating toys are fully inclusive with all M/Y PRIVÉ charters with the option of tubing. Our Azimut luxury motor yacht’s stern garages are full of fun toys. Try a spin on a fun and exhilarating Seabob personal propulsion aqua scooter. You can also document your ride with a builtin GoPro camera. Bespoke charter options for our discerning guests. Our fine fleet is meticulously paired with the highest quality equipment for our guest’s enjoyment. Credit to any purchase after the session of $200. Credit towards an album of $400. Private online gallery for easy viewing, ordering and sharing. Credit to any purchase after the session of $400. 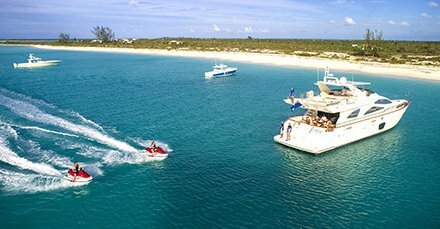 BLUE HAVEN MARINA, in Leeward, Turks and Caicos Islands. 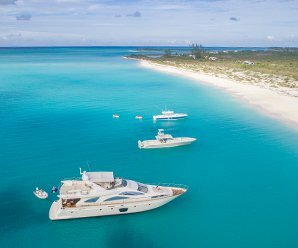 Set in the stunning crystal waters of the British West Indies and nestled on the northeastern coast of Providenciales, this Caribbean marina is ideal for all yachts wanting to explore the ‘Beautiful by Nature’ islands and cays of the region.